Evie is 5 years old and has a dream of going to Disneyworld. When begging and pleading didn’t work Evie started on a new plan to make her dream come true… she started a business! Now she is saving her money while making crayons and selling them on Etsy! From Evie: The first crayons I made were just a homework project with my mom. I wanted a dino birthday party and my mom said she would help me make decorations. We made dino art to put up on the walls, dino invitations and dino favors. The favors were little dinosaur crayons that my mom helped me poor into a mold. After the birthday party some of my friends wanted more. So we made more... and more... and more... and then my mom helped me put them with dinosaur books in my grandpa's shop. I sold so many that I went to the store with my mom and bought new shapes to make and we ordered molds for those shapes too. As part of this blog tour I am hosting my first every blog giveaway. Yay! 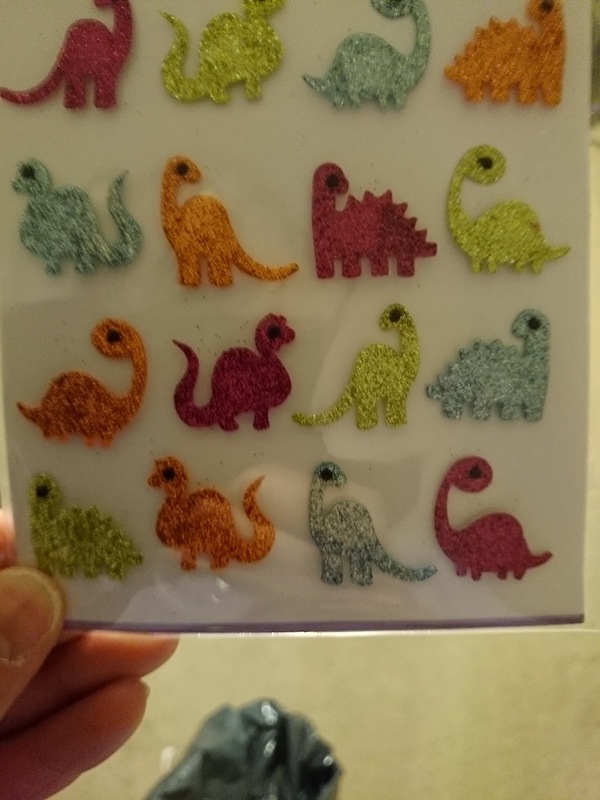 The giveaway will be for a set of dinosaur crayons from Evie the Crayon Creator, a set of dinosaur hair bows made by me and some super glittery dinosaur stickers. 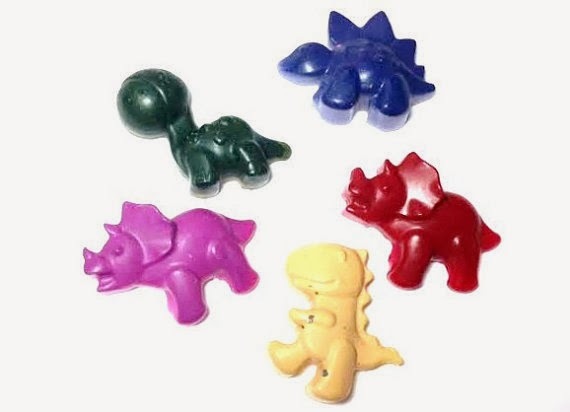 Those dinosaur crayons are so cute! Good to see someone so young getting into business! Those crayons are seriously adorkable.